You really captured the urban life of penguins here. Other than humans I can\'t think of a lot of other creatures on earth that so utterly take over a landscape as these guys do… excavations and all. I can almost hear the nearly deafening sound of the colony. The story behind "Patagonia: Happy feet, pinguin hole in one"
I am not afraid to say that Happy feet was one of my favorite movies from the past year, maybe so because I saw these little critters a few months before the animation hit the cinemas. 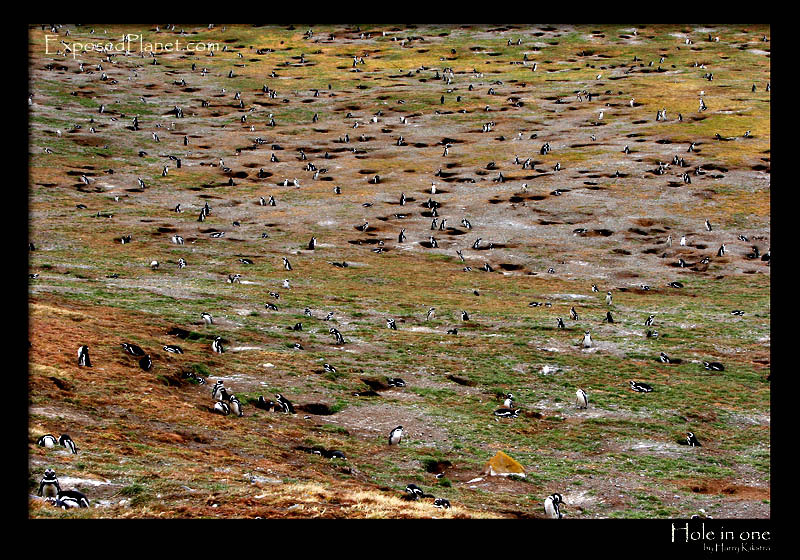 Shot on Magdalena Island, home of over 120,000 Magellanic penguins, a great place for a day trip from Punta Arenas, (in Chile, not Argentina as mistakenly typed before, thanks to Pablo for the correction :).